tl;dr: Dex.AG shows us a future where global price transparency and discovery gives us all more confidence that we are being treated fairly. If you do a trade on a brokerage site like Schwab, Fidelity, or E*trade, how do you know you are getting the best price? You know the price they are giving you, but is it really the best price available? It is an app that overlays many of the biggest decentralized exchanges out there. 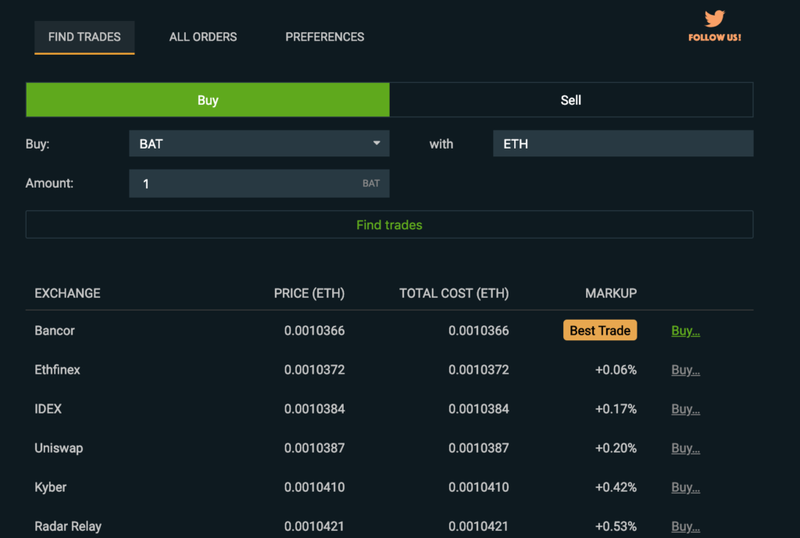 Because prices are available for anyone to inspect, DEX.AG shows you the best price available for the trading pair you want. So, for example, let’s say I want to buy Basic Attention Token with Ether, the best price is at Bancor. 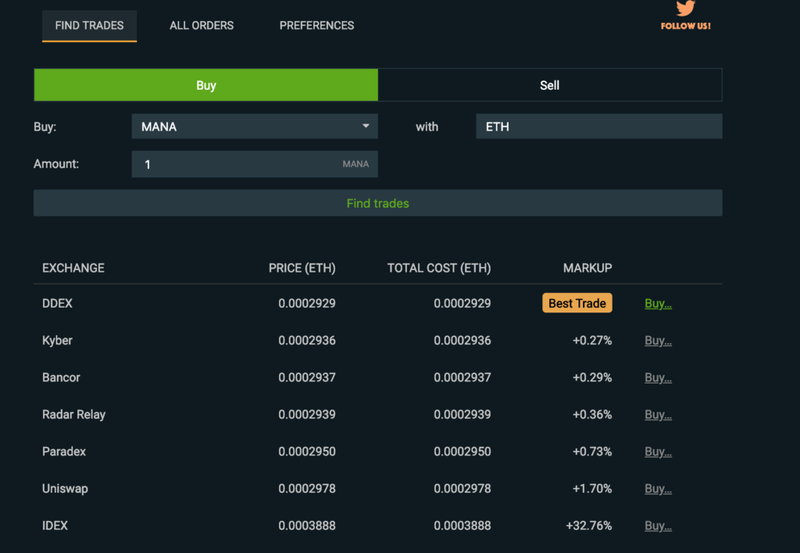 However, if you want to trade MANA (from Decentraland) for Ether, the best price is at DDEX. Once you click “Buy,” you go to that site and you can pretty much immediately log in via MetaMask. There’s no account set up, no username, no password, nothing. Essentially, you are into the trading pool in about 1 click. The site knows immediately what tokens you own and you are ready to trade. Ultimately, I think this means we will get lower prices as transparency comes to the various markets. In the meantime, arbitrage opportunities will certainly exist. The Decentralized Exchanges will compete on user-experience elements such as interface and advanced functionality because “lock-in” that comes from intensive sign up processes will no longer be a competitive moat preventing customers from migrating. I think that’s a great thing.